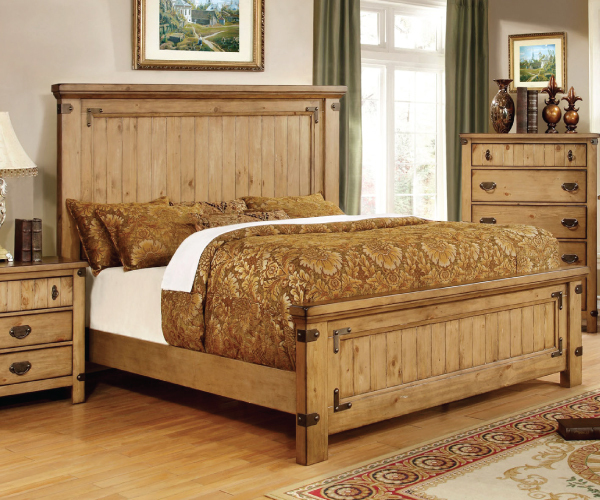 This classic old fashioned bedroom suite wears a weathered elm finish with natural wood accents. 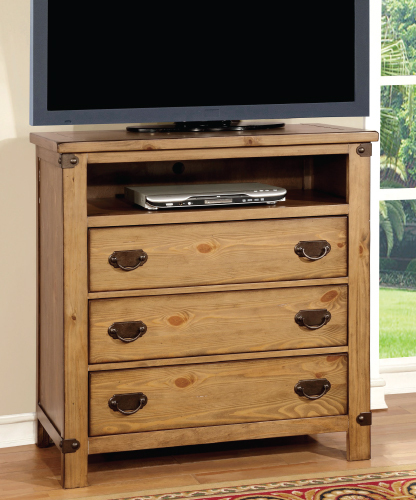 The complementing case goods have matching hardware transforming any bedroom into a timeless living area. 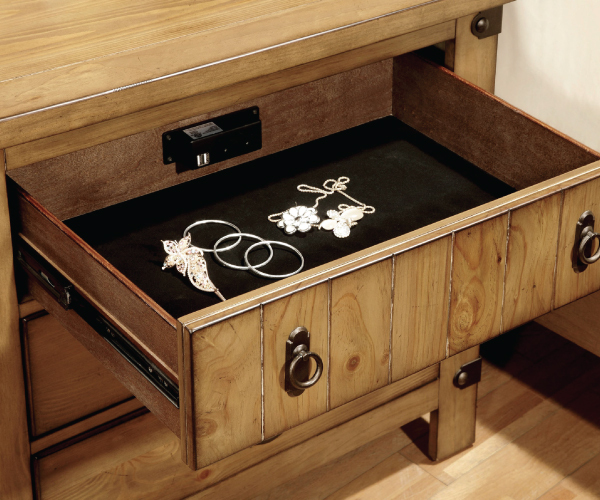 USP/Phone charging outlet in the nightstand makes it easy to charge your device.